August | 2013 | Abez sez Assalamualaikum! At nine in the morning, Khalid came and asked if he could borrow my phone. I told him yes, but he HAD to wake me up at 9:40, because I had a doctor’s appointment to get to. I have bronchitis so I’ve been stealing some extra snoozes in the morning. Khalid agreed, took my phone, and then left. “Okay!” he chirped, and then skipped out of my room. Khalid- stock still, sitting on the sofa, intently staring. I was so touched, and so shocked, and so humbled by the methodical devotion required to stare at a clock for thirty minutes that I smothered him in kisses. He seemed embarrassed but tolerated my affection briefly, then breaking free to leave and play with his dinosaurs. SubhanAllah, it’s times like this that make me marvel at how amazing a little person he is, and how grateful I am to Allah for making him that way. Whether it’s because of autism or in spite of it, Allah has blessed us both. AllahuAkbar. Hello my name is: Not Dying-Yet. Me: Hello new friend, my name is Abez, and I love you! New Friend: I love you too! Let’s hang out tomorrow, and next year too! Me: Sorry, but I’m sort of dying but not really dying because my muscles are dying but my heart and my lungs aren’t yet dying but there’s no guarantee that they won’t at any time so I guess you could say that I’m not dying yet, though I could be but really aren’t we all? Me: Hello new friend, my name is Abez and the muscles in my body are dying! New Friend: Sorry to hear that but pleased to meet you, Abez! I have a good friend (I’m not sure if she has the time to read my blog anymore) who I’ve known for around six years now. When I casually told her I had been diagnosed with myopathy and that there wasn’t much that could be done, she was upset. And later she called me and apologized. I asked her what she was apologizing for. She said she felt stupid- I was the one who was sick, but she was the one needing to be reassured that everything was going to be ok. I didn’t think that she needed to apologize at all, because I’ve known for over a year that I’ve had myopathy, and even longer that something wasn’t right with the way my body was working. I’ve had almost ten years to get my head around being sick, but she got ambushed with incurable, progressive, muscle atrophy one lazy afternoon after tea and cookies. I should have prepared her better, but I’m not sure how. A catchy song perhaps? 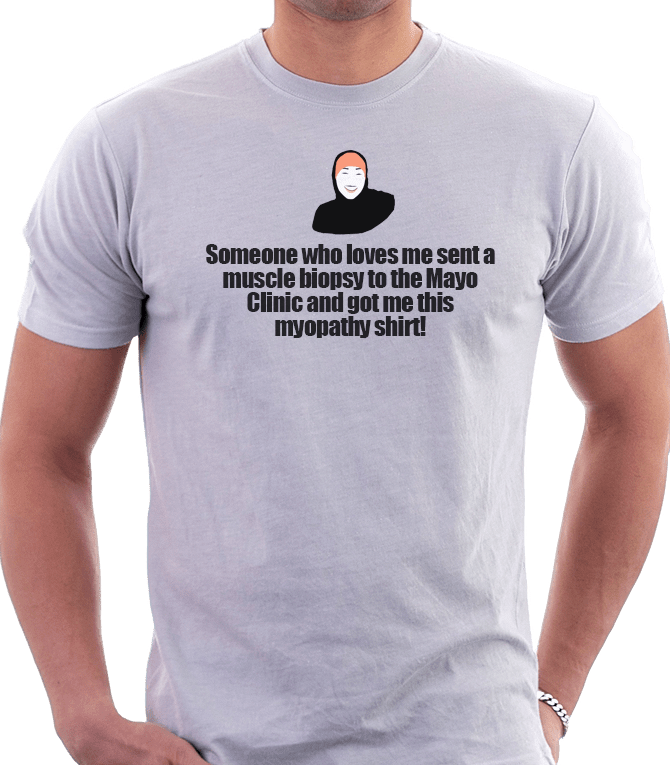 Sometimes I’m tempted to tell random strangers I have myopathy. When I use my disabled parking permit, sometimes people glare at me. I look fine- slow, but fine. One lady in the hospital parking lot tried to stare me down last week. I was in a hurry and didn’t want to confront her in front of Iman, so I avoided eye contact and just moved forward. But I really do want to tell people who stare that the reason my housekeeper is carrying my toddler is not because I don’t care or don’t love her, it’s because carrying her can make my arms hurt for hours, or I could lose my balance and fall, hurting us both. The reason why I don’t pop up like a piece of socialite toast and help the hostess in the kitchen at dinners (like I conscientiously used to) is because my body hurts, my legs are weak, and all your guest-size platters of food are too heavy. The reason why my husband changes diapers and takes kids to the bathroom even at a guest’s house is not because he’s whipped, it’s because he’s an amazing, hands-on, loving father who’s doing his best to keep my pain level to a minimum. Well, I guess they do now. Someone get this on Amazon, Momma needs a new mobility scooter! With racing stripes! And it is a pain. It’s a deep down ache, starting from your bones and spreading uniformly throughout your flabby, shaky muscle. It doesn’t come in waves, it floods and peaks and stagnates for hours, and sometimes all you can do is sleep it off or sit it out. It makes it hard to be patient, hard to speak gently, and hard to suffer the inconsiderate acts of very considerate people who don’t actually know how much you’re hurting because you haven’t told them your limbs are dying. Because how are you suppose do even do that when you’ve only just met them? It’s not like they make a t-shirt for that. So yeah. It’s weird, dying. But not yet. Technically we’re all dying, the only difference is that some of us get pop-up reminders about our appointment with God. I kinda like this new system- my legs hurt, so I make dua. My arms hurt while making dua, and it makes me make more dua. I’m praying more, stressing less, budgeting my energy and prioritizing my life. I once had too many things on my plate, but I’m passing some of those things off to other people and I hope, InshaAllah, that I can leave nothing on it but my family, my children, my faith, and my health. Also, my crazy attempts to cram as much legacy-building for the shameless pursuit of sadqa-jaariya before I meet Allah. That’s another funny thing about having unspecified myopathy- I don’t know if I have the time to be subtle about what I’m looking for, so I will put it bluntly: Read this poem I wrote way back in 2004 after being told (mistakenly) that my pain was Trigeminal Neuralgia. If this blog or this poem makes you grateful to Allah, or strengthens your resolve in current difficulties, or even makes you say a single MashaAllah (for the sake of saying it) I’ve earned a few more blessings. And I need me some blessings. So start reading, cuz momma needs a new castle in Jannah. It’s the feeling of my body giving up before its time. Now I pray for peace. It’s the devil down within me that wants me to complain. Musfira, staring into bedroom mirror: Momma, whez my beeowd? Me: Your beard? Musfira, you don’t have a beard. Me: You’re a little girl. Beards are for babas. Musfira: *pouts* I wan sum beeowd! Me: You can’t have a beard! Musfira, dramatically wailing and clutching face: I WAN SUM BEEEEEEEOOOOOOOWD! You can’t make this stuff up, folks. You just can’t.